Every law enforcement officer's go bag contains staple duty gear items, and usually some highly personal items, too. Police officers across America carry on their person and in their "go bags" myriad personal items that were not issued by their departments. These items may be symbolic, sentimental, personal, practical, or tactical. 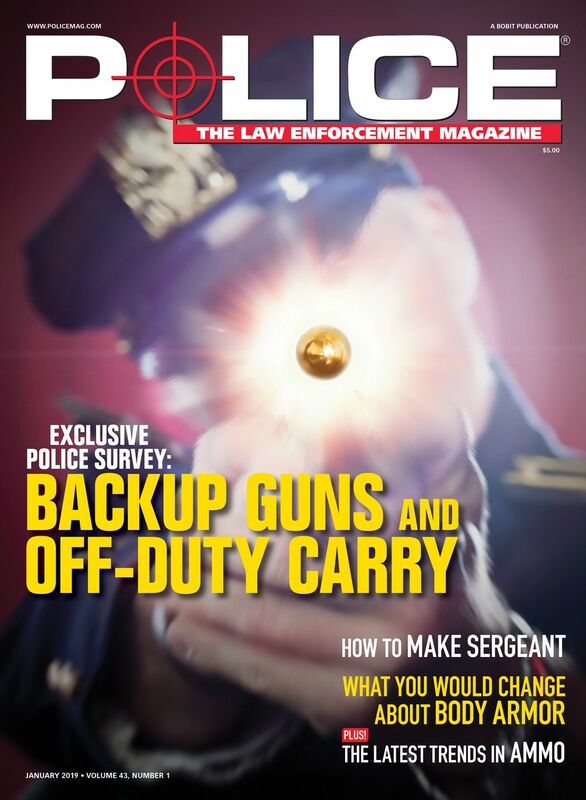 We wanted to find out what you carry, so POLICE Magazine did an informal—and completely unscientific—survey of active-duty and retired officers asking, "What are some of the personal items that you carried on duty and what is some of the personally owned gear you use on the job?" We spoke with officers on all points on the compass rose—from the scorching hot deserts in the Southwest to the bitterly cold areas up on the Canadian border. We found that some of the things carried by officers in the cold winters of Minnesota make no sense for officers in Florida—and vice-versa. However, we also got some surprisingly similar responses from all over the country, from officers in places like Alaska, California, Florida, Illinois, Massachusetts, Ohio, Texas, Virginia, Washington, and Wyoming. 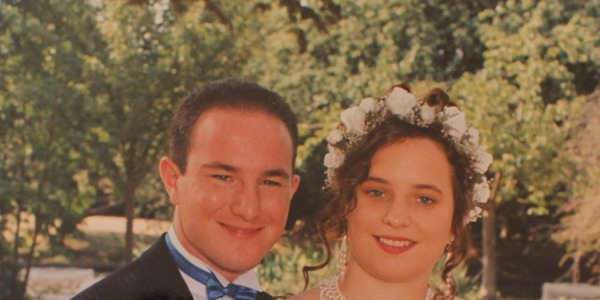 Some of the personal objects officers reported carrying were sentimental in nature. Among the common responses were a pocket Bible, a copy of the United States Constitution, a medallion bearing the image of Saint Christopher, a challenge coin, a wristband bearing the name and badge number of a fallen colleague, and similar objects. Others carried highly personal items—the most common being a photo of the officer's family, either in their wallet or tucked into the brim of their uniform hat. 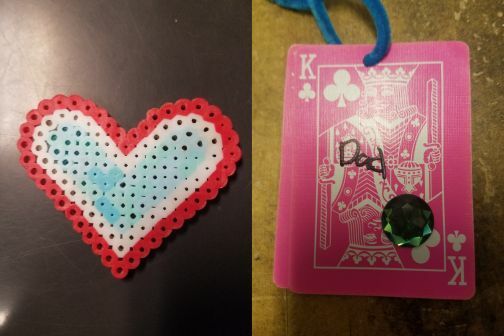 One officer said that he carries a plastic heart one of his daughters made for him, adding that in the pocket of his trauma plate he carries a playing card on which his other daughter had embedded a jewel and hand-written the word "dad." One officer said he carries a plastic heart his daughter made for him. In the pocket of his trauma plate he carries a playing card on which his other daughter wrote "Dad." Other items were practical in nature, with a couple officers saying they carried backup reading glasses in case their prescription glasses were broken in an altercation. Many officers also reported carrying sunglasses. Some officers carried items that helped them keep an even keel on patrol. One retired officer said that he carried a handkerchief "because you are the first responder for you." 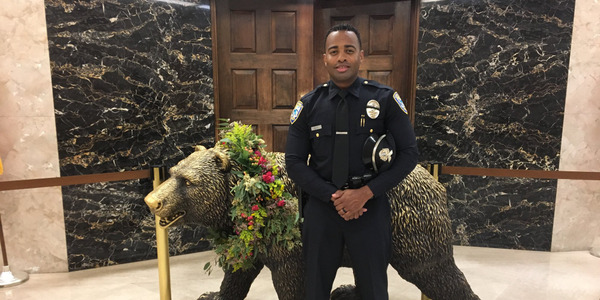 "I discovered that chewing gum helped me keep calm, so I always had a couple packs of gum in my pocket," another officer said. "I even had backup gum in my car blow-out-bag." None of the respondents from warm-weather states said they carried pocket warmers, but most of the officers in the cold-weather regions said they did so from October though April. A good number of officers said that they wear para-cord bracelets, which are a mashup of sentimental and practical. They bear a Thin Blue Line or another inherent message, but also can be unwound and used as a length of 300-pound-test rope. Notably, the overwhelming majority of officers said that the "extra stuff" that they carry was duty gear that was personally purchased because the department did not issue it. Almost every single officer said they carry a non-department-issued folding knife. Many reported carrying a "multi-tool" of some kind. Some said that they also carry a window punch. One officer said he carried a pen with an integrated handcuff key. Some officers carry language cards with simple phrases so they can communicate with non-English speakers in their jurisdictions. One even said he carried a small firearms identification guide. Speaking of firearms, many officers—nearly all, in fact—reported that their backup gun was personally purchased. 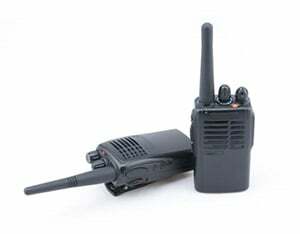 Another common response was a small backup flashlight. Although some departments have begun to issue tourniquets, many still do not. Consequently, a significant number of officers responding to our inquiry revealed that they bought, trained on, and carry one—typically strapped to their ankle. One officer said, "The city supplied one pair of handcuffs. I bought two more and carry them." 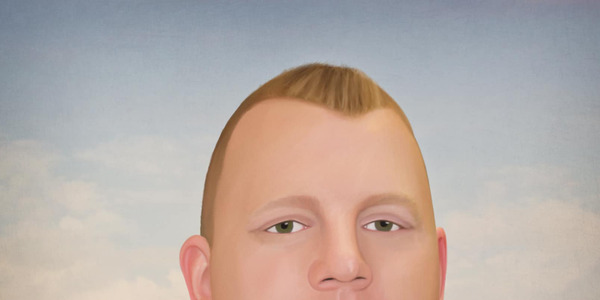 Another officer said he had a Kubotan attached to his key ring. One officer said he carried dog bones. "I learned the hard way" on that one, he said. 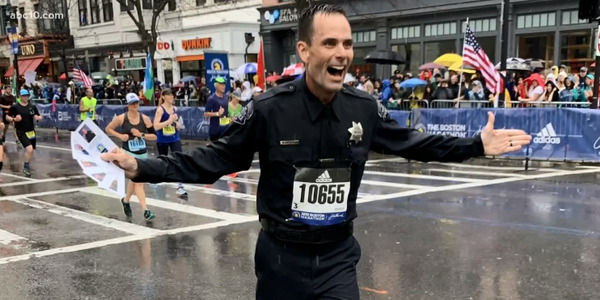 Several officers reported carrying a tape recorder—some of whom retired before body cameras became ubiquitous, and some who presently carry one "because body cameras fail." Several enterprising officers said they carried a mirror that can be attached to the end of a baton so they can see around corners from cover or concealment. One retired officer—who does not smoke—said he carried a pack of cigarettes. "Smokers—especially those under stress—will often do anything for a cigarette," he said. So, that's what officers had on their person. Now here's what they had in the trunks of their patrol cars or the cargo areas of their SUVs. 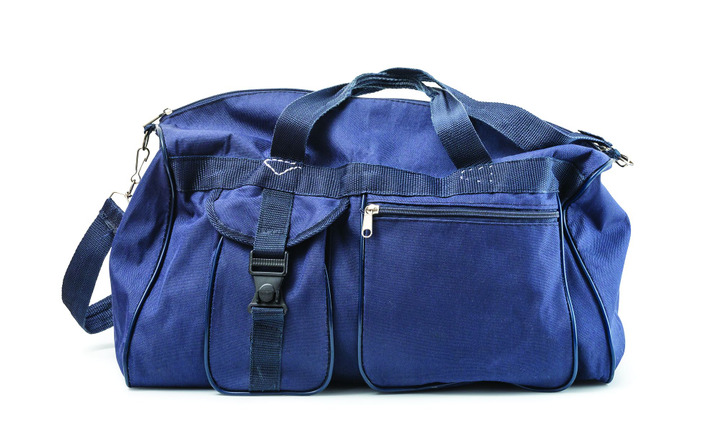 Almost every officer reported putting food and water in their "go bag." Items included protein/energy bars, bottled water, packages of nuts, and MREs. The other common response was first-aid gear that was not agency-issued, including tourniquets, baby powder, baby wipes, protective rubber gloves, hand sanitizer, emergency blankets, hemostatic agent, bandages, medical tape, aspirin, and even Vicks VapoRub. "Don't go into a crime scene without it," that officer said. Speaking of crime scenes, several officers reported keeping a couple pairs of disposable booties and a few jumpsuits in the trunk. Naturally, there was also plenty of tactical/practical gear that the department didn't provide. Nearly every respondent had at the top of their "go bag" list extra ammo and extra magazines. Other personally purchased items included chemical lights, pepper spray, weapon cleaning kits, and extra handcuffs. One officer said he had a military-style poncho and inflatable pillow in the back, "just in case." Several officers said they kept a clean uniform in a garment bag in the trunk. There were also some interesting household items mentioned. Most officers reported storing duct tape in the rear compartment. Many respondents said they carried a box of pens. One officer said that he carried spare batteries in the sizes of everything in the car that had batteries. Plenty of officers said they routinely purchased "Zip-lock" bags. One said he kept a box of binder clips handy. "Useful for all sorts of things," he said. Numerous officers said they had a "dopp kit" containing hygiene essentials such as soap, shampoo, shaving supplies, deodorant, hair brush, tooth brush, dental floss, as well as a towel and wash cloth. Several said that they had/have a small tool kit in the trunk, with basic tools such as screw drivers, plyers, and crescent wrench. Many officers reported keeping stuffed animals in the trunk to give to children in distress. This should probably be a universal practice. So there you have it—the list of personal items police officers carry is as diverse and interesting as the officers who participated in our little survey. Surely you carry something not listed here. Let us know what it is…and why you carry it.